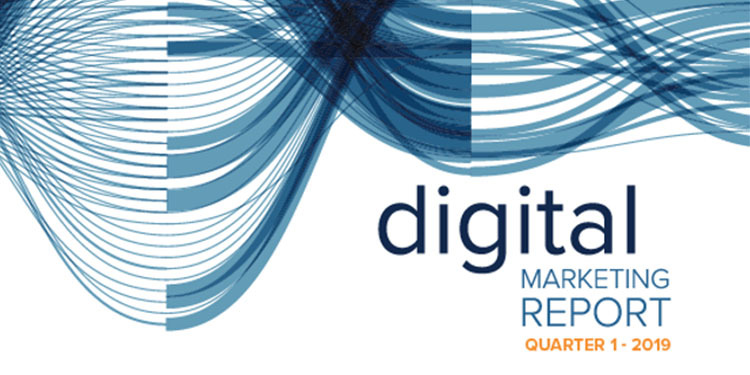 February 4, 2014, Charlottesville, VA – Leading search and digital marketing agency, RKG, today released its first Digital Bowl Report – evaluating the digital efforts of Super Bowl advertisers. Specifically, the report looks at social media, SEO and paid search, with Jaguar and H&M ranking in first and second position, respectively. "Creating visibility for a brand is much more than breakthrough creative, high production value and $4 million for media. It's about using all the marketing levers, in a thoughtful way, to ensure that your brand is discoverable and that you capture the buzz of a high profile event. The Super Bowl's marketing winners and losers used to be determined subjectively as a creative assessment. No doubt creativity is critical. But so is people seeing and talking about your brand before and after the $4 million lights up the screen. Search, paid and organic, as well as social, and how these work together, determine the real business value of the efforts made in Super Bowl," said George Gallate, CEO, RKG. Topping the Report is Jaguar, who scored highly in SEO while also doing well in social and paid search. One of the best examples of early optimization, Jaguar built content and equity in both their creative concept, British Villains, and their hashtag #GoodToBeBad. As early as November, content began to appear – giving the brand plenty of time to create a digital footprint ahead of the big game. Coming in second place was H&M. While the success of their “t-commerce” Samsung TV campaign remains to be seen, the brand built plenty of hype through their consumer-driven campaign to decide if celebrity endorser, David Beckham, should appear #Covered or #Uncovered in their ad. Social buzz across platforms and plenty of PR hype contributed to advance optimization. Real-time social media efforts helped them maintain their spot during the game as well. The Digital Bowl Report looked at a number of criteria in SEO, social media and paid search. In SEO, brands were graded based on landing page optimization, how well they engaged with external websites to promote their content, and whether or not their Super Bowl content passed link equity. In social, RKG looked at real-time content creation, community engagement, leveraging hashtags and social calls-to-action. Paid search examined relevant keywords, copy, ad extensions and hashtags connecting the text ad to the TV spot, and user-friendly landing page experiences. The full report is available for download at: http://rkg.co/digital-bowl. About RKG RKG is a search and digital marketing agency that combines superior marketing talent with leading-edge technology to create the industry’s most effective data-driven digital marketing solutions. RKG drives business to clients by maximizing a full range of opportunities including paid search, SEO, product listing ads, social media, display advertising and comparison shopping engine management services. Founded in 2003, RKG partners with clients such as CareerBuilder, Drugstore.com, Express, Herman Miller, Jones Group and Urban Outfitters. In 2013, Advertising Age ranked RKG the fastest growing search agency. A privately held company, RKG is headquartered in Charlottesville, VA with offices in San Francisco, CA, Bend, OR and Boston, MA. For more information visit www.rimmkaufman.com or follow the company on Twitter @rimmkaufman.